Last updated: June 2017. Do you suffer from lower back pain while and after standing? Are you worried that your pain will worsen and turn into a serious injury? A recent study has found that standing on your feet for more than 25 minutes a day could potentially lead to a lifetime of lower back pain. You don’t have to be a part of these statistics. Here you’ll find 5 natural and easy ways to prevent your lumbar pain after standing too long. Being on your feet for hours each day is an uncomfortable and often painful reality for stay at home moms, cashiers, health care workers, bank tellers, restaurant servers, mail sorters, assembly line workers, retail salespeople and the list goes on an on. And if low back pain is not enough, standing for a long time can also lead to foot pain, bunions, varicose veins, knee problems, neck and shoulder stiffness, restricted blood flow and fatigue. They can all join the “party” at any moment, if they haven’t already. 1 Why Does Your Back Hurt After/During Standing? 3 Why Does My Lower Back Hurt When Standing Up After Sitting (or Bending Over)? Why Does Your Back Hurt After/During Standing? 1. Tensed Muscles – muscles have to constantly work to keep you upright. Standing in one position requires some kind of rest, otherwise the joints from your neck to your feet can become temporarily “stuck”. The muscles get tired and their tendons and ligaments can get damaged, which means inflammation and pain. 2. Circulation – standing still for long periods reduces blood flow to your muscles. The lack of movement reduces the blood returning to the heart. This causes the veins to become inflamed and the muscles, which don’t get enough blood supply, start to ache. 3. Footwear – if you stand on hard surfaces (like concrete) and you don’t have the proper footwear (hint: Heels are not a good idea), it can make your pain much worse. 4. Poor fitness and excess weight – obviously, these will aggravate lower back pain while and after standing. 5. Bad posture – standing often leads to poor posture. As a result, the shoulders slouch forward, the hip flexors are tight, and you have too much arch in your lower back. 6. Overly Tight Hamstrings – this is a little known cause, but it happens. Overly tight hamstrings can pull on muscles of your lower back and cause muscle pain. First, you should know that if your lower back hurts even after only 10 minutes of standing, you should get checked by a doctor soon to get properly diagnosed. Even if you don’t wear heels, just any flat shoes won’t do and they can even make things worse. You need sturdy, supportive and comfortable shoes. Your shoes need to have room for insoles to cushion or orthotics. Danskos or Sanitas are the choice of many nurses, for example. But many people swear by Nike Air Shox too. Alternatively you can give yourself extra cushioning with gel or foam inserts placed in your shoes. Rotate your shoes. It takes more than 24 hours for the shoe to recover after you wear it all day. Have at least two pairs and alternate. Stretch your hip flexors to realign your pelvis and stretch your chest to put your shoulders back. If you have tight hamstrings, you should stretch them every hour or so, ideally. Also, stand with one foot in front of the other, not side by side. Periodically shift your weight from one leg to the other and try to work with one foot slightly raised (a six-inch/15 cm footstool is ideal). The mat is very cushiony, but is low enough so it causes no problems in stumbling or tripping on it. Standing on it makes your feet feel like you are floating on a cloud. 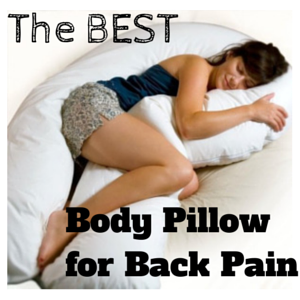 It may seem pricy, but if it prevents lower back pain, I’d say it’s worth every penny. Here’s my full review for the Wellness Mats. Losing weight and regular exercise will help you keep a healthy, strong body and stronger muscles to support you when you stand. Core exercises, yoga or Pilates can be very helpful too. Here’s where you can receive a free Pilates DVD for beginners. Many women say that wearing knee length TED hose while working really helps. It may sound silly, but it really does help to keep your blood flowing nicely and you will be less tired overall. If the pain in lower back from standing persists and/or becomes severe, see a doctor for further evaluation. Why Does My Lower Back Hurt When Standing Up After Sitting (or Bending Over)? If you suffer from crippling and excruciating lumbar pain when standing up, it probably feels like lightening going through your whole body and you have to hold onto something and stop yourself from moving until it calms down. The “technical” causes can be facet syndrome (back sprain), Sacroiliac syndrome, herniated disc, muscle and ligament strain, and Scoliosis. If your back hurts only when you stand up or bend over, your low back injury may not be muscle related. These symptoms suggest that may have a bulging disc (usually followed by Sciatica pain – radiated to your legs) or a pinched nerve in your lower back. I recommend that you be diagnosed properly by your doctor and than come back here to find the best natural and easy way to heal your injury. How many hours a day do you spend standing? what has worked best for you?